Megan McGrath is a general assignment reporter for News4. She can be seen weekdays on News4 Today and on News4 Midday. McGrath was born in Baltimore and grew up on the Chesapeake Bay just south of Annapolis. She was raised in a family rooted in journalism, as her father is a broadcast journalist in Washington. Her initial career in print ended when the weekly newspaper she was writing for was discontinued. 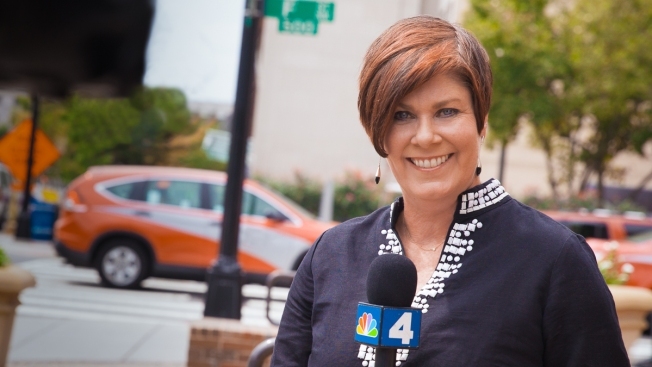 A job with C-TV in Prince George’s County shifted her focus to broadcast, and after stints at WMAR-TV in Baltimore and WJLA-TV in Washington, she joined News4 in 1999. McGrath was one of the first reporters on the scene at the Pentagon on September 11th, 2001. She reported from there for weeks, bringing updates on the investigation, the victims, and the heroes from the attack. McGrath has a journalism degree from Marquette University in Milwaukee. She currently lives in Churchton, Maryland with her husband and their two kids. Send Megan McGrath an e-mail.